Let’s talk Thanksgiving. We know it as a time to give thanks, be with loved ones, watch a football game, and eat until we are so stuffed we can’t move. What if you could enjoy everything great about Thanksgiving while still feeling your very best? Make a few simple recipe swaps and create a whole-food menu for your guests this year, featuring only the most nutritious and delicious food, and lose the post-meal bloat and fatigue. 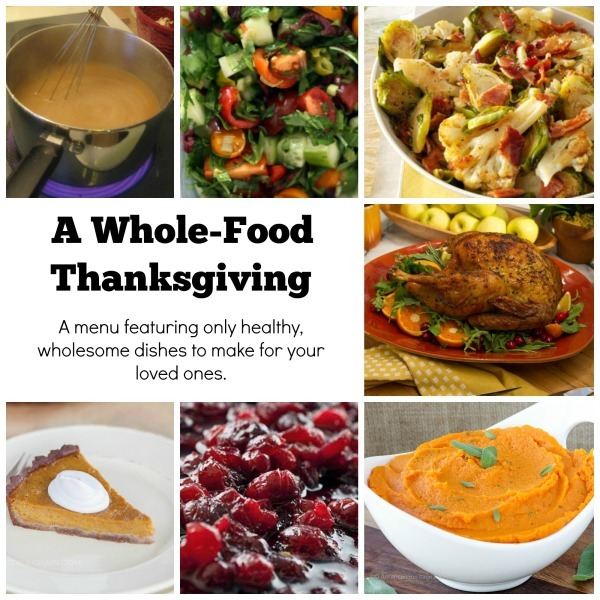 Enjoy these healthy and wholesome Thanksgiving recipes! 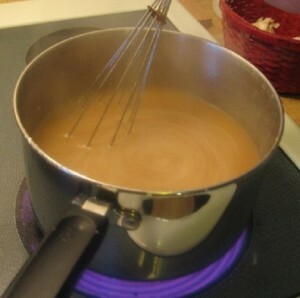 Click recipe title to be taken to recipe. Be sure to PIN all your favorites by clicking on the picture! This recipe creates a crispy-on-the-outside, juicy on-the-inside bird full of fresh flavor. 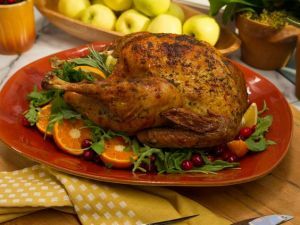 Cook the perfect turkey this year with this easy-to-follow recipe. Use the tasty drippings from your turkey and add some spices, arrowroot powder (much better for you than white flour), and coconut milk for a creamy, rich, and smooth gravy that is dairy and gluten free! Everything about this dish is a winner. 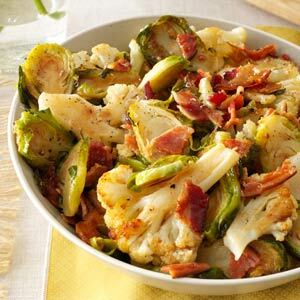 Featuring the crispiness of freshly roasted Brussels sprouts and cauliflower, along with bacon and balsamic vinegar, this dish is bursting with flavor while still so fresh! 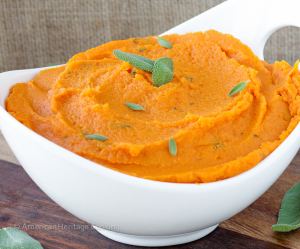 Smooth and creamy mashed sweet potatoes, nutty brown butter and savory fresh sage come together in a beautiful and delicious side dish! This cranberry sauce is made from pineapple juice and no-sugar added applesauce in place of refined sugar to create a perfect batch of this festive dish for your Thanksgiving table. 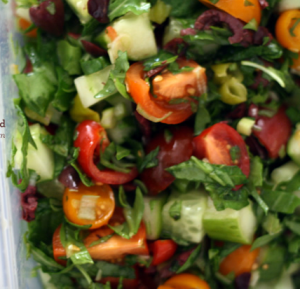 Crunchy and refreshing, this salad will brighten and lighten your meal while adding that much needed pop of green to the table! Who says a healthy Thanksgiving meal can’t include dessert? 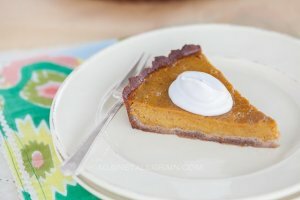 We love this recipe for delicious pumpkin pie made out of only whole-food ingredients. Enjoy a healthy Thanksgiving. As always, we are thankful for all of our friends and clients!